Jersey gets a bad wrap on TV, but I promise you it’s a great place to live filled with awesome food. You need to remember, we’re called The Garden State for a reason! Anyway, I thought I’d make a recipe to highlight some of the fresh food that I grew up loving as a kid in NJ – crabs, corn, and tomatoes (well…the love of tomatoes didn’t come until later, but you get the point!). And honestly, what better way to enjoy these ingredients than on a pizza? So when I told my parents I was going to make something called “The Jersey Crab Pizza” they gave me a rather questioning look. 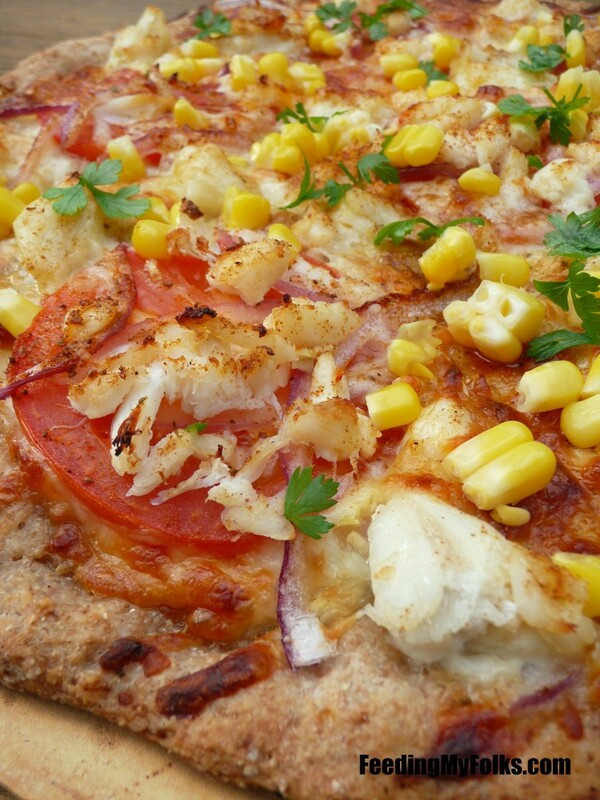 Does crab even belong on a pizza? Why the freak am I using corn? Cheddar cheese and hot sauce? They must have thought I was crazy. Well I guess I am…cause all the ingredients compliment each other perfectly and my folks went back for slice after slice. I’d call that a win! Okay, so there’s no need for sauce on this pie because the tomatoes burst with juicy sweet/tart flavor every time you take a bite. The combo of mozzarella and cheddar cheese is subtle, without overwhelming the delicate flavor of the crab. It has a gentle seafood taste that reminds me of nights eating on the docks with friends (especially when dusted with Old Bay). After everything sizzles in the oven, top it with fresh corn and hot sauce. 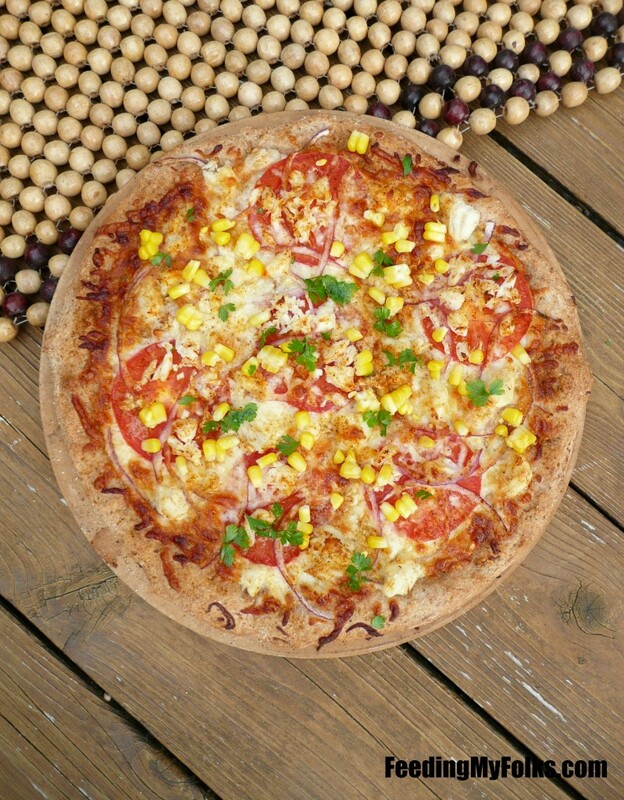 Not only does corn give this pizza amazing texture and color, but it gives a nod to the PILES of corn on the cob we have every summer. It has a cool snap that I just love. Also, before I forget, do not skip the hot sauce! My mom was shocked that it didn’t make the pizza spicy…it just brightens the rest of the flavors. Honestly, hot sauce provides the necessary zing to kick each ingredient up a notch. So use it! To wrap it up, this pizza is unique with a fantastic flavor combo. 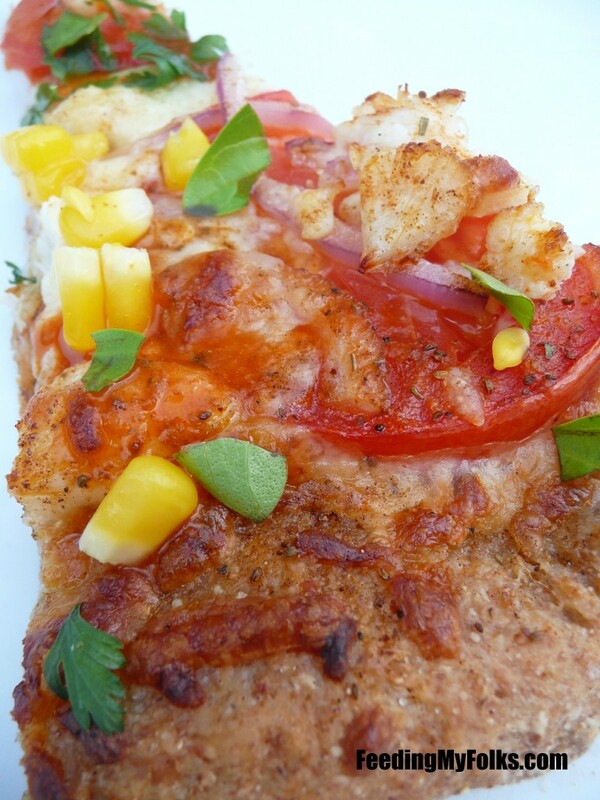 It highlights three of my favorite ingredients to eat – crab, corn, and Jersey tomatoes. Everything is rich yet light, and it’s a mix of contradictions that magically work. If a pizza eloped with a crab cake in Atlantic City, this would be their baby. Try a slice and let me know what you think! Preheat oven with pizza stone to 475 degrees Fahrenheit. Roll out dough to fit pizza stone. Sprinkle with cornmeal and flip over (the cornmeal will be the bottom of the crust). Evenly distribute both cheeses and tomato slices. Evenly distribute thinly sliced red onion and lump crab meat. Sprinkle with Old Bay and minced garlic. Drizzle with olive oil and then place pizza into oven to bake for 12-15 minutes on the pizza stone, or until crust and cheeses are cooked through. Remove from oven and sprinkle with cooked corn. Sort of reminds me of a Crabcake sandwich which I had in Maryland…it was served cold. All it was was really good Crabcake with a tomato slice and Russian dressing on toasted bun. It was delicious! I’ll totally make it for you, Jen! This pizza sounds odd, but it’s really tasty. 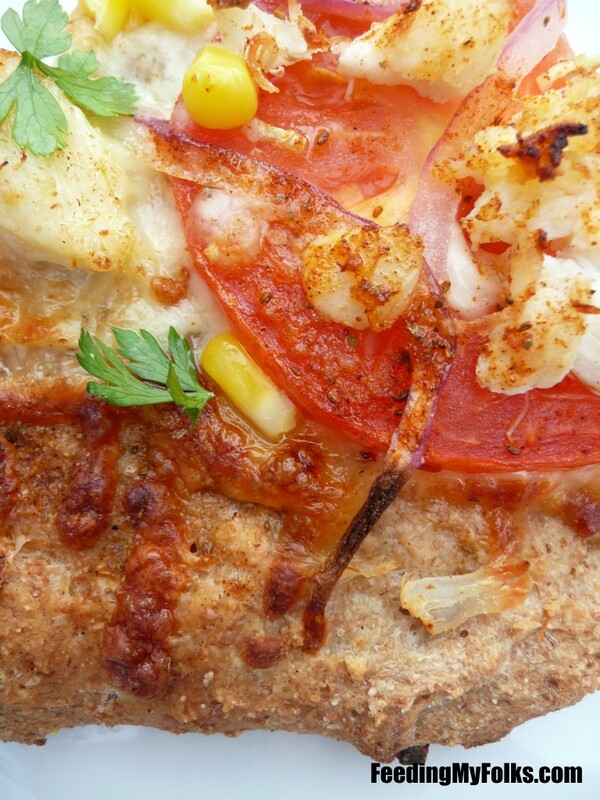 It’s like a deconstructed crab cake remade as a pizza. Twisted, but oh so good.